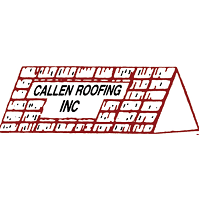 Welcome to Callen Roofing, Inc.! At Callen Roofing, Inc., we respect the value of teamwork. To achieve success, Callen Roofing, Inc. must be able to reward its employees as they strive to reach their full potential. All of this is done as a well-functioning, cohesive team, with the intention of supplying our clients with the best work possible.